W2O’s event Sharks Matter highlighted the sharks essential contribution to our oceans health as the apex predator, serving a the critical role of keeping the balance of species in our oceans. Wendy Benchley and John Mandelman showed us powerful images of the majestic shark but also shared graphic pictures and a video of shark finning. Wendy and John educate people around the world about protecting sharks and our most precious resource, the ocean. Take the Shark Pledge-its a simple way to show your support for protecting sharks, the oceans and ultimately yourself. Something about the way in which Wendy Benchley speaks makes her seem both typical and extraordinary. She’s a mom, grandmother, wife and likes to work. She grew up in Montclair New Jersey, summered with extended family in Stonington Connecticut, lived for years in Princeton, New Jersey and now resides in D.C. …Sounds like someone you might know! But unless you are involved in the small world of conservation, you might only recognize her name from her famous first husband, the author of Jaws, Peter Benchley. Make no mistake, Wendy Benchley is anything but typical! Wendy makes waves, literally and figuratively. A short list of Wendy’s accomplishments and activism begins with her arrest (at a suburban Woolworth store while a student at Skidmore) for protesting in the 50’s about immigration reform. Stints at the American Field Service and as a Princeton N.J. councilwoman (while raising three children) honed her skills that are reflected today in her work for organizations such as the Environmental Defense Fund, Shark Savers, Ocean Champions and currently, WildAid. I asked Wendy if there was a recent movie to share with our families, (the way that we all watched Jaws together in the 70s-usually more than once! ), that might mobilize and inspire real action toward saving the majestic shark and other marine animals. She recommended some of her favorites; Cove, Blackfish and the 6th Extinction but somehow they still don’t live up to the Jaws phenomenon. There is something about some popcorn, a tiny all American town, a rugged hero, an awkward everyman and a terrifying predator that resinates still. Wendy contemplates “turning the tail on its head” and telling the story from the shark’s point of view. Now that would be an interesting movie! Join us at Sharks Matter: Busting the Jaws Myth with a New Script on this Majestic and Misunderstood Creature on October 22nd and hear more about why we must protect sharks. More about Wendy Benchley: William Waterway from Martha’s Vineyard interviews Wendy Benchley. Thanks to the Martha’s Vineyard Gazette for the photo used here of Wendy Benchley. Sharks Matter-More Than You Think! It doesn’t matter where you live, who you are, or what your economic or social circumstances are, a world without sharks would be devastating. Think desperate, barren, foul, depleted, or apocalyptic. 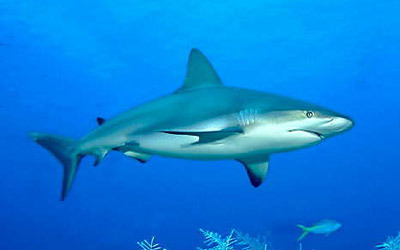 It is estimated that 100 million sharks- majestic apex predators of the ocean-are killed each year. Fishing, accidental “by catch” and the demand for shark fins and other parts for sale are the major contributors to the shark’s decline. 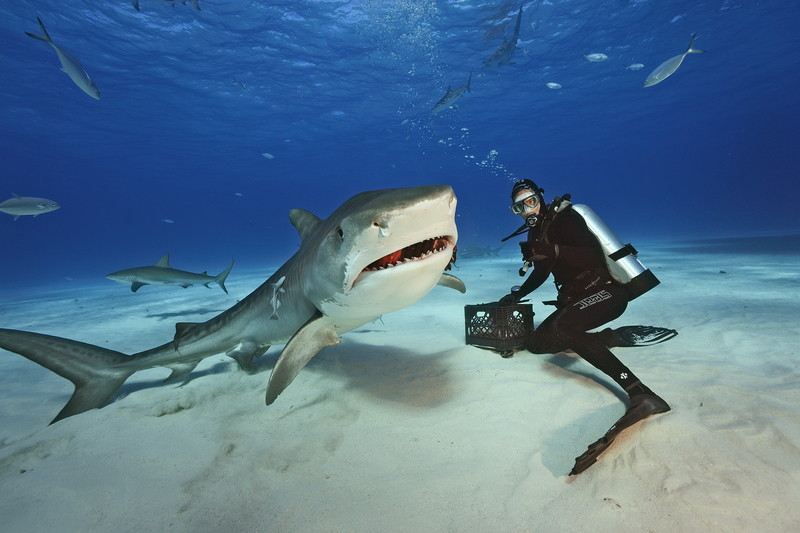 The concept of protecting sharks to some might seem counterintuitive. Don’t they eat everything and contribute to the decline of other species in the ocean? We imagine them as voracious eaters because our perception of sharks has been colored by images that depict them as dangerous man-eaters. In truth, without a healthy shark population, we would be in real danger of losing the living ocean that we rely on for food, our economy and livelihood. The fact is, sharks matter more than you think. The loss of sharks would set off a chain reaction in our oceans. According to Oceana, “The loss of sharks as top predators in the ecosystem allows the number of grouper, which eat other fish species, to increase. The groupers in turn reduce the number of herbivores, such as parrotfish, blennies and gobies, in the echo system. Without these herbivores to eat algae off the coral, algae will take over the reef system.” In Oceana’s report Predators as Prey: Why Healthy Oceans Need Sharks, even shark’s proximity to some animals will cause them to behave when choosing feeding sites in ways that are healthier for oceans. Learn more about the importance of sharks at W2O’s October event Sharks Matter: Busting the Jaws Myth with a New Script on this Majestic, Misunderstood Creature. 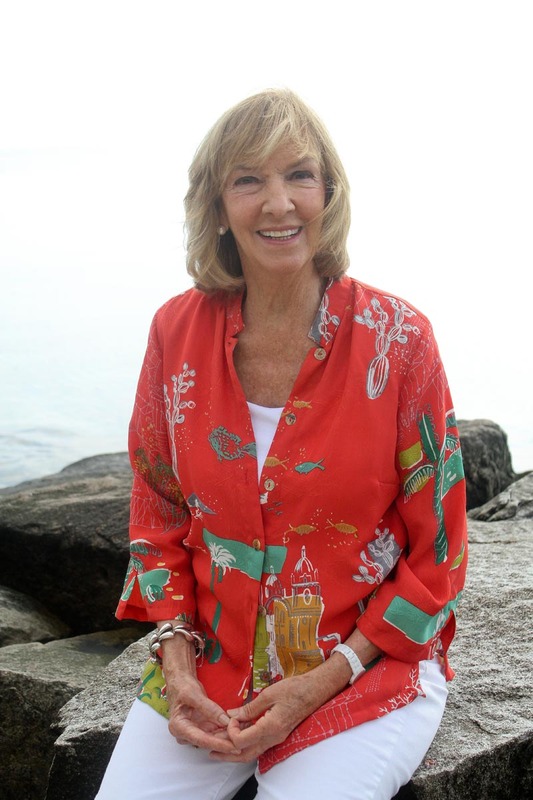 Wendy Benchley, co founder of the Peter Benchley (author of Jaws) Ocean Awards and shark advocate will present along with John Mandelman, scientist and director of research at the New England Aquarium.